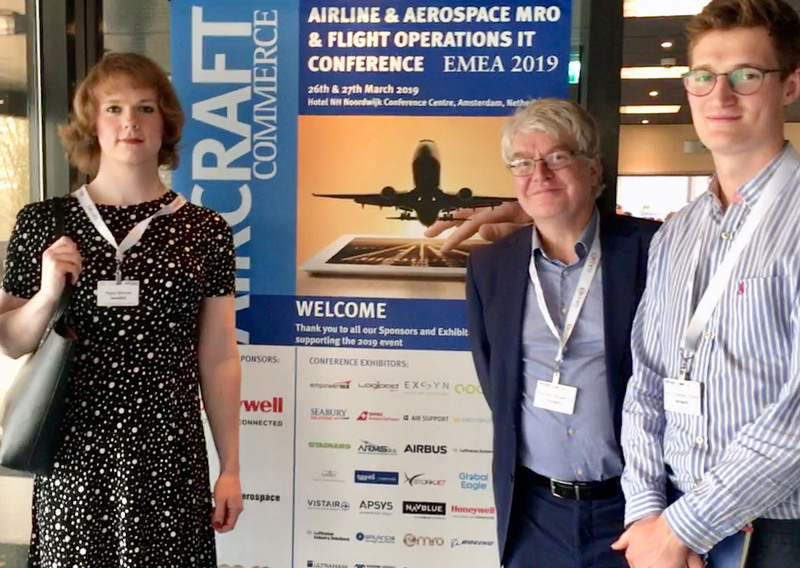 Following an enjoyable and insightful visit to Aircraft Commerce’s Airline & Aerospace MRO & Flight Operations IT Conference in June 2018, the Aerogility team attended the event for a second time this year. Held annually in Amsterdam, the industry-leading conference addresses how IT is used for aircraft maintenance and flight operations. The event gave the team the opportunity to immerse themselves in the latest technological updates within the MRO industry. Watching software demos, attending engaging presentations and networking with other industry experts enabled the team to gather more insight into the key industry trends for this year. The most significant trends were mobility of information – with a key emphasis on ensuring information could be accessible on smartphones and tablets – optimisation, AI, machine learning and big data, and, of course, predictive maintenance. Aircraft manufacturers are now catching up with engine manufacturers in terms of producing enough data and information from the aircraft to be able to predict failures and maintenance events. The problem with this development, however, is newer aircraft produce an overwhelming amount of data, creating a need for intelligent filtering, which is a complex process. Two presentations particularly stood out to the team. The first was Predictive maintenance – beyond the buzzwords: what is it and why does it matter for aircraft maintenance? given by Sander De Bree from EXSYN, which focused on the advantage of distributing data across shared networks for predictive maintenance. Second was from Micheál Armstrong of Armac System who outlined how the use of big data and predictive analytics can reduce an airline’s supply chain costs and increase aircraft availability, while pointing out the challenge of collecting data from a range of companies to create a shared network. Industry events are incredibly beneficial to us at Aerogility, enabling us to keep up-to-date with the latest trends and developments in MRO and predictive maintenance and ensure our solution continues to meet our customers’ needs in a rapidly evolving industry.